This beautiful arrangement which includes a gorgeous scented Katie Loxton of London Designer 5.6 oz. candle. 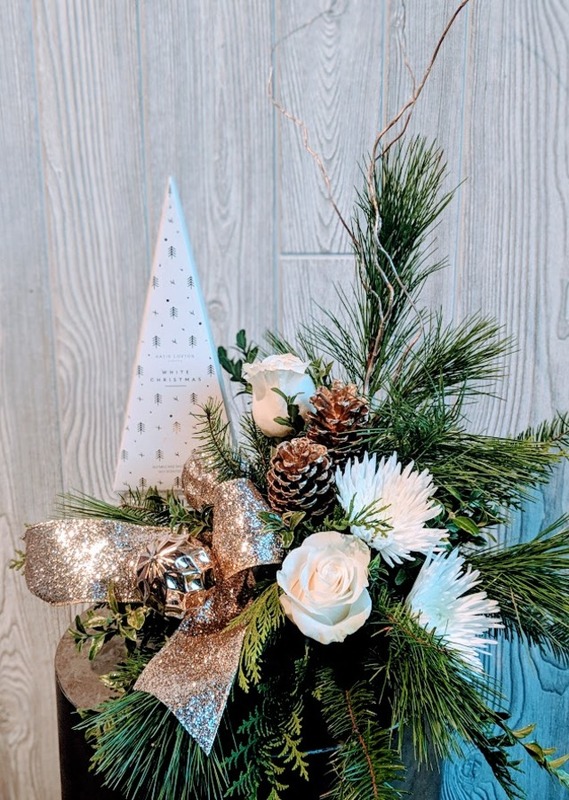 Each arrangement is filled with Greens, Roses, Pine cones and more.